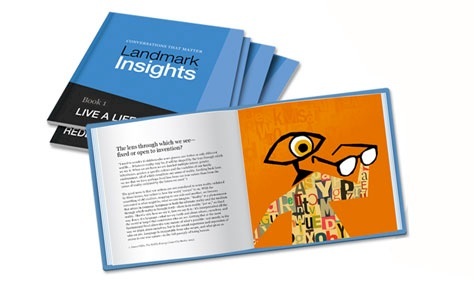 Insights & Distinctions Volume 1: Landmark Forum leaders Nancy Zapolski and Joe DiMaggio push boundaries and bring forth what's possible in being human. 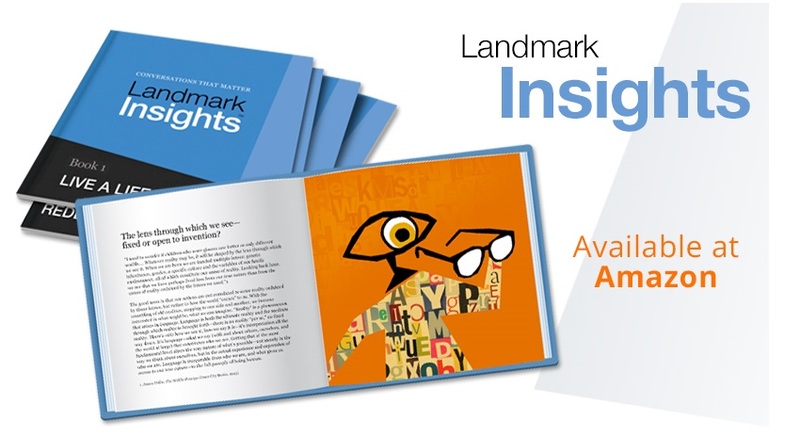 Insights & Distinctions Volume 2: Ten Landmark Forum leaders continue the journey to the heart of what matters most. Authors: Gale LeGassick, Steve Zaffron, Laurel Scheaf, Larry Pearson, Cathy Elliott, Balvinder Sodhi, Jane Wright, Mark Spirtos, Manal Maurice, Barry Grieder. Tambien disponible in Español: Volumen 1: Los líderes de El Foro Landmark Nancy Zapolski y Joe DiMaggio cuestionan los límites y traen a la existencia lo que es posible para el ser humano.